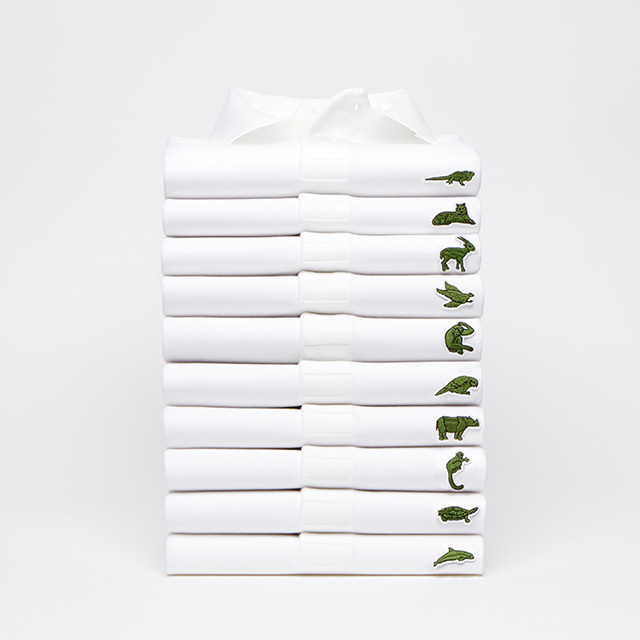 Adweek – "Lacoste’s Iconic Crocodile Makes Room for 10 Endangered Species on Brand’s Polo Shirts"
"“Save Our Species” kicks off a three-year partnership between Lacoste and the IUCN. The campaign spotlights 10 endangered species that will individually appear in a series of limited-edition polo shirts." "The number of shirts available for sale corresponds to the number of animals of each species that remain in the wild. A total of 1,775 shirts have been made; of them, you’ll find 30 Vaquitas (a type of porpoise) and 450 editions with the Anegada Rock Iguana." "Each sale will go toward the preservation of its species."